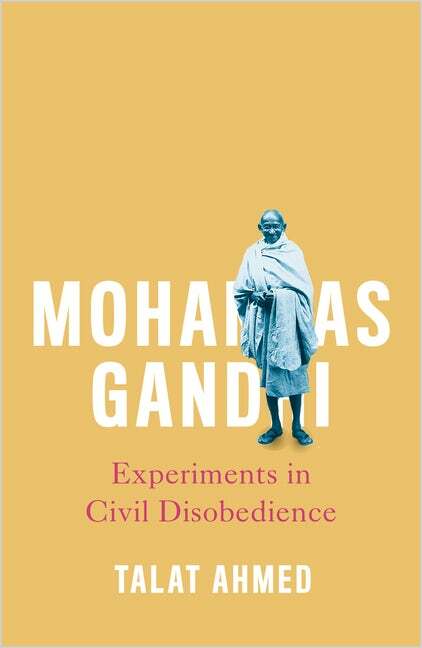 The Royal Asiatic Society will host a book launch of Talat Ahmed’s new critical biography Mohandas Gandhi: Experiments in Civil Disobedience, which highlights the contradictions in Gandhi’s non-violent philosophy. Dr Ahmed will discuss the book with Professor David Arnold followed by a question and answer session, with copies of the book available for purchase after the lecture. Mohandas Gandhi, icon of Indian liberation, remains an inspiration for anti-capitalists and peace activists globally. His campaigns for national liberation based on non-violence and mass civil disobedience were critical to defeating the power of the British Empire. This biography examines his campaigns from South Africa to India to evaluate the successes and failures of non-violent resistance. Seventy years after his death, his legacy remains contested: was he a saint, revolutionary, class conciliator, or self-obsessed spiritual zealot? The contradictions of Gandhi’s politics are unpicked through an analysis of the social forces at play in the mass movement around him. Entrusted to liberate the oppressed of India, his key support base were industrialists, landlords and the rich peasantry. Gandhi’s moral imperatives often clashed with these vested material interests, as well as with more radical currents to his left. Today, our world is scarred by permanent wars, racism and violence, environmental destruction and economic crisis. Can non-violent resistance win against state and corporate power? This book explores Gandhi’s experiments in civil disobedience to assess their relevance for struggles today. Talat Ahmed is Lecturer in South Asian History at the University of Edinburgh. She is a Fellow of the Royal Asiatic Society and the author of Mohandas Gandhi: Experiments in Civil Disobedience (Pluto, 2018) and of a study of the All-India Progressive Writers’ Association entitled Literature and Politics in the Age of Nationalism: The Progressive Episode in South Asia, 1932-56 (Routledge, 2009). Since his early research, on nationalist politics in south India in the 1920s and 1930s, his work has ranged widely over the history of modern South Asia, and beyond, and has included social and environmental history and the history of science, technology and medicine. Along with David Hardiman he was a founder member of the Subaltern Studies group of historians of South Asia. He is currently writing a history of South Asia and developing research on food and ‘everyday technology’ in South and Southeast Asia. David Arnold’s work has been translated into several languages (including Portugese, Spanish, Russian, Chinese, Japanese and Korean).